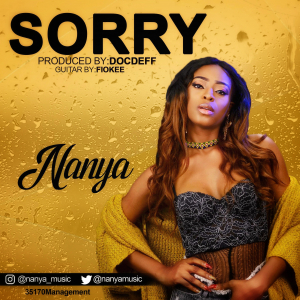 [OFFICIAL] It’s all good vibes and sounds of love as 35170 management’s star diva, Nanya drops the visuals to her already trending romantic hit, “Sorry”. Nanya’s versatility and strong vocal competence comes alive in this video as she shows off her romantic side with sensual dance moves and voice control. The video was shot in Lagos, Nigeria and was stunningly directed by Catalyst. Audio produced by Doc-deff. Guitar by Fiokee and mixed by Master Garzy.